Do you often feel as though you have little to no energy? Perhaps no matter how much sleep you manage to get, you still feel tired? Do you find it difficult to wake up in the mornings? If you answered yes to any of these questions, you might be wondering how you can boost your energy naturally - and there are many ways to do this. Many people suffer from low energy and it can cause problems in different areas of our lives. Some of the areas that can be affected by low energy are: productivity, mood, and your overall health. There are many ways that you can boost your energy naturally and easily. Some of which you may not have thought about. If you can try different things to boost your energy, it can help you in your work, social life and even your general mood. Here are 5 ways you can boost your energy naturally and start improving your wellbeing. Stress plays a big part when it comes to low energy. When you are facing lots of stress, it causes you to use up a lot of your energy. You can become tense and emotional when you are facing stressful situations - which won’t help with your energy. That’s why it’s a good idea to try and take some time out of your day where you can focus on relaxing. Mindfulness and meditation can be a great way to relax and reduce any stress you might be feeling. After you’ve taken some time to relax and reduce your stress levels, you should start to feel that you have more energy and your mood should improve too. If you can have at least 10 minutes a day where you can sit and relax, this should really start to help to boost your energy. So this may seem obvious, but sometimes we just aren’t getting enough sleep. Maybe you wake up early? If that’s so, try to go to sleep earlier than you are now. The recommended sleep time is 7-9 hours. If you can, make sure you are getting the recommended sleep time. When we have low energy we can sometimes feel tired but have trouble getting to sleep. This could possibly be from worry and stress stopping you from falling asleep straight away - or it could be that you are so worried about not getting enough sleep that you stay awake. Whatever it may be, try to start your bedtime routine a little earlier so that you can wind down and relax before you sleep. 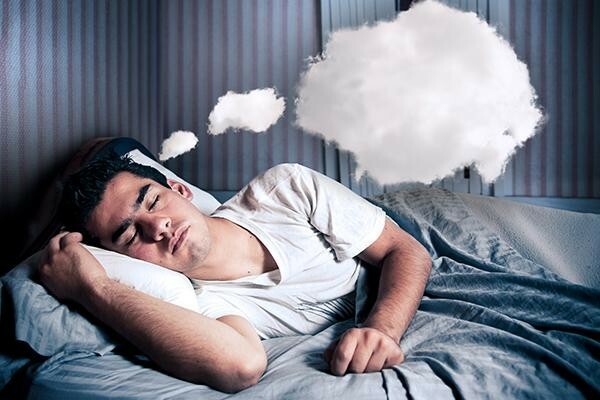 This way, you should start to fall asleep easier and feel much more energized when you wake up the next morning. Most people don’t think about hydration, but staying hydrated can actually help to boost our energy. When we are dehydrated, we can feel lethargic and find it hard to focus too. Dehydration can affect more of our bodies than we think it does. Studies have shown that mild dehydration can even impair different aspects of brain function. This could obviously be a problem for completing your work and also lead to a reduction in memory too. If you are feeling tired and you aren’t drinking enough water - simply try to make a conscious effort to drink more and regularly throughout your day. This can really help to boost your energy naturally. You are already likely to know that regular exercise is good for our health and overall well-being, but did you also know it’s great for your energy levels too? It doesn’t have to be a full on body workout for this to work either. It could be just going for a walk on your lunch break or going out for a bike ride. Just moving your body, even when you are feeling tired, can really help to give you the energy boost you need. Sometimes it can be hard to even think about exercising when you feel that you have no energy, but that’s why it’s great that you can just go for a walk or bike ride to boost your energy levels, instead of having to go the gym for a full body workout. Regular exercise can also help give you a more positive mood. Exercising releases endorphins which help to improve our mood. Another great way to boost your energy naturally is by using self-hypnosis. Self-hypnosis can help to replace any negative beliefs you may have with positive ones. It can help you to rediscover the motivation you once had and eliminate your tiredness and low energy. 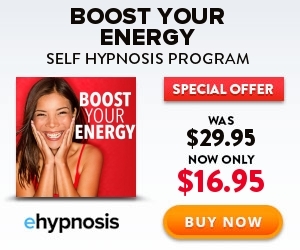 Listening to a self-hypnosis program such as our ‘Boost Your Energy’ hypnosis track can help you to ‘re-program’ your subconscious and rewire your brain to help you access the energy you once had again. Your mind is also capable of giving you an energy boost and a big part of that is finding your motivation again - which hypnosis can help you do. Self-hypnosis is a natural, safe and effective way to make positive changes in your life. You can use the tracks to help you relax too, which can also help you to reduce your stress levels. 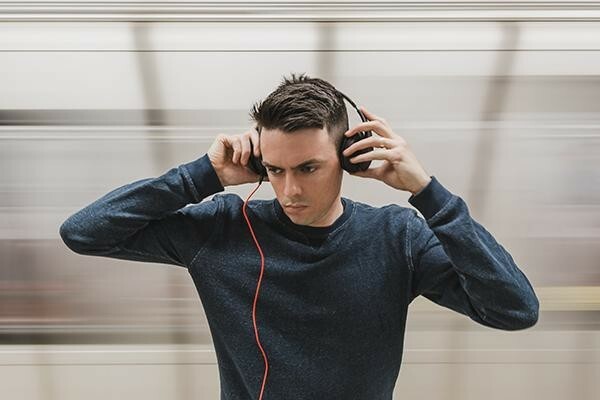 Using the Boost Your Energy self-hypnosis track can help you to make positive changes in your life which will help to boost your energy levels. You should find that you begin to feel more energetic in the mornings, and stay full of energy throughout the day too. For more information and to get your copy of the ‘Boost Your Energy’ self-hypnosis track, click here.